Inside the ultrasonic tank, transducers emit sound waves in the water creating MILLIONS OF TINY MICROSCOPIC BUBBLES that energetically IMPLODE, literally sucking the surface clean. Ultrasonic is powerful and a gentle cleaning process that does not require physical contact, scrubbing or harsh chemicals. Ultrasonic technology is used in all hospitals, dental surgeries and optometrists as part of the sterilization process. It is also used in many other industries that require a precision clean to remove dirt, dust, grime, mold, and bacteria. Ultrasonic blind cleaning deep cleans the vanes, ladders, cords and head rail. Having your blinds ultrasonically cleaned is beneficial in homes and work environments where occupants suffer with asthma or other respiratory conditions. The fastest and safest way to clean delicate blinds. There’s no need to take drapes down or be inconvenienced. We Sell New Designer Window Blinds and Window Treatments. I have lived in my house for 16 years and had never had my blinds professionally cleaned. I took them to Blind Cleaning Services not expecting a miracle but I definitely got one. My blinds look brand new and added new life to my family and dining rooms. Dave, the owner, was extremely helpful and friendly. I love supporting local businesses, and highly recommend Blind Cleaning Services. You won’t regret it!!! Highly recommend! 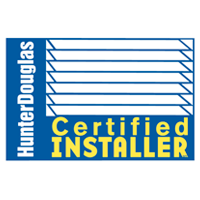 I was planning to replace my Hunter Douglas blinds because they were 20 years old, I had them cleaned instead and they look brand new! Blind Cleaning Services did a fantastic job and have excellent customer service, very attentive, efficient and affordable. If I do need new blinds I would call them first as well. 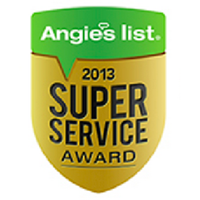 They are knowledgeable and experienced in cleaning and replacement! I had a blind repaired and they did a great job! It was done earlier than promised. I also looked at the different window treatments they have onsite as I would like to update in the future. I spoke with Dave N. at length and learned so much about the various options. He was very honest which is appreciated! I would highly recommend them for your needs. 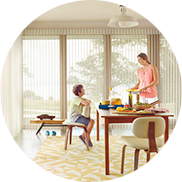 I have vertical blinds in my living room, dining room and recreation room. I do most of my entertaining in the rec room and several of my friends smoke hence the blinds in that room were fairly badly stained from the nicotine. I took all 3 sets to Blind Cleaning Services and was stunned when I picked them up a couple of days later – all 3 sets looked like brand new and the nicotine stains on the rec room blinds were gone. I will definitely use Blind Cleaning Services in the future. The company was very prompt with my request for a proposal this past summer and was quick to schedule me in this fall when I called them back requesting services. 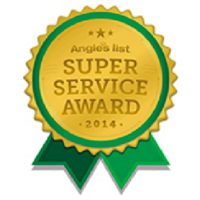 The service tech was on-time, professional, and thorough with their cleaning service. My drapes look great and I am so glad I spent the money. It cost more than I would have liked but I have had this service done in the past by another provider who charged a similar fee so I think they are competitive. The estimate went very well. The service man was very thorough and measured every blind in every room. We discussed our concerns regarding the cost and he did offer a few cost cutting measures, i.e. 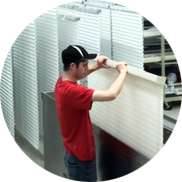 delivering the blinds ourselves to the cleaning facility, versus company pick up and reinstallation. My blinds look good as new, and they are 17 years old! I will highly recommend Blind Cleaning Services to all my friends. I was very satisfied with Blind Cleaning Services. They gave me good service, and they knew what they were doing. I was extremely pleased and I wouldn’t have any problems calling them back. Their responsiveness were great, I was in a jam, and they answered right away. The service was excellent. When a representative came to clean the blinds, I must say I was very embarrassed by how dirty they were. I was not optimistic about how they would turn out. After they were cleaned they were beautiful – perfectly clean! They did an amazing job! I will definitely be a return customer. We had a small fire in our powder room which resulted in soot throughout the house. Blind cleaning Services cleaned Silhouette shades (3), 2 cellular shades including one large doorwall, some wood blinds and also a fabric cornice board and drape. He also did some minor repair of extension cords and tassels. All extremely satisfactory. It went super well. The blinds look great! Using the ultrasonic method is great because even the cords came clean, which were literally gold colored from the smoking. I would definitely recommend this service! In an age when good service seems a terribly hard thing to find, my husband and I were delighted with the way our problem was handled. We called Blinds To Go to recommend a blind cleaning company in the Novi area. The solution to our dilemma was Blind Cleaning Services! I was extremely pleased to see how clean my blinds came; They looked like new! I was also pleased that Blind Cleaning Services saved me from having to spend money on purchase of new blinds. I will not hesitate to refer Blind Cleaning Services. 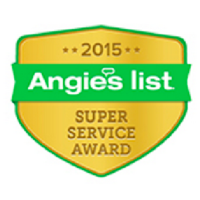 The entire process from scheduling to cleaning was very professional and customer focused! What day and times are available for cleaning? Residential – Monday-Saturday 9:00am-5:00pm, excluding holidays; Commercial – Tuesday-Saturday 6:00pm-6:00am, excluding holidays. Every day, we work in different counties completing jobs in one geographical area. Because commercial customers often require specific days and times, we also make every effort to meet residential customer’s special needs. Your sales consultant can assist you with specific times. Can I change my scheduled cleaning time? No problem changing your scheduled time but we ask for at least 48-hour notice. When short notice is given a $50 cancellation is charged because technicians are given weekly schedules and usually cannot be reassigned. Is it cost-effective to clean all blinds & shades? Assuming the average charge to ultrasonically clean an average-sized fabric shade is about $25, clearly a mid-priced to higher priced shade can be cleaned for a fraction of the replacement cost. This is also cost-effective to have them cleaned several times throughout the life of the blind. For low cost blinds such as pleated or cellular shades purchased from a home center for $90 each then, lets assume a common situation of five matching shades in one room. The replacement cost would be $450 ($90 x 5 windows) versus the cleaning cost of $125. A savings of $325. Can damages happen during the cleaning? 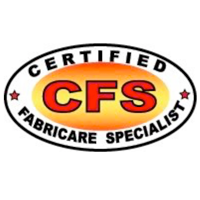 We treat your home or business with absolute care. However, should damage or breakage occur while on the job, every effort is made to repair or if necessary, replace the item. When appropriate, insurance claims will be submitted by your service dealer. So the work performed in your home or business can be as safe and efficient as possible, we ask that you move small pictures on window ledges or other items that will be difficult to work around. Preparation for commercial customers such as large office buildings, hospitals, etc., is discussed in much greater detail with your sales consultant. Does the cleaning make a mess? Contact Blind Cleaning Services Today!